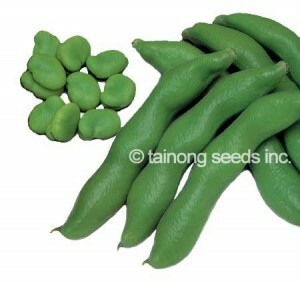 Asian Greens | Tainong Seeds Inc.
6-9 inches long. Grows as vine with climbing stems. Similar to soybeans in both use and nutritional content. Tolerant to heat and high humidity. Can be grown in most areas of USA. Sensitive to cold and frost. “Tomorrow’s Leaf” Very popular in Asia for its medicinal properties. 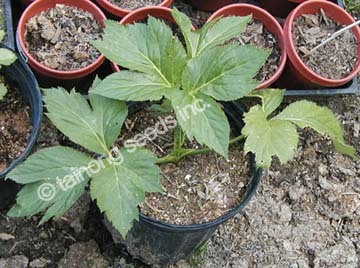 Best grown in part shade to full sun, with rich organic soil and good drainage. Usually not harvested in the first year; grow for bigger size and harvest second year. Space ~30 cm between plants. Mid early maturity, large seed size, mostly 3 beans per pod. 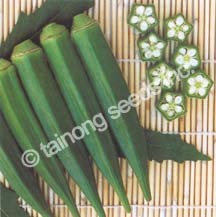 Tender stems topped with fragrant leaves. Good for soup and tossed salad. Tall plant with light green, heavily serrated leaves. 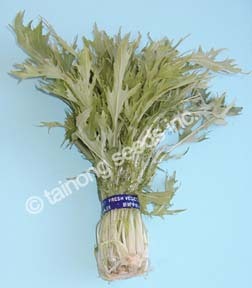 Very tender, fresh tasting vegetable often used in Japanese hot pot stew. Dark green, pentagonal pods, ~8 cm long (3 inches). Tender, high quality pods with excellent taste.